Aleka Rose is an up and coming, new author who has a lot to say! Her first book looks at strength and courage in the face of some very big odds. Get a great discount today when you buy direct from the printer! Also find this incredible book on Amazon, Barnes & Noble, Kindle, Nook and all the great online booksellers. Untold Story is a bold, courageous look at what it means to heal after trauma. It is an adventure in forgiveness and self-love. 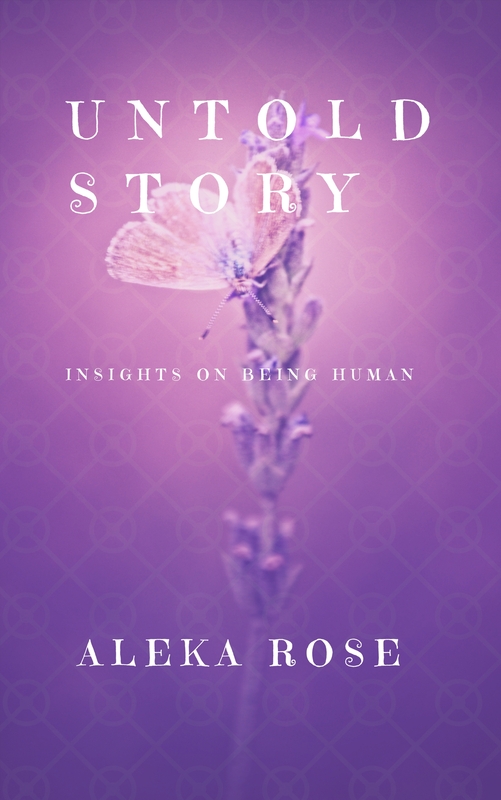 Aleka Rose tells her story with raw honesty and deep insight. She exposes herself so we all can learn from her experiences. She gives us great ideas on how to begin and continue the process of healing. Mixed in with amazing quotes from Maya Angelou, Aleka takes us along for an incredible journey from being a victim to becoming empowered, aware and thriving.